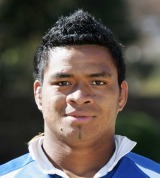 Iosefa Tekori (known universally as Joe Tekori) is a versatile forward who plays for Castres. Tekori, who was born in New Zealand in 1983, has played 10 times for Samoa. The 6ft 6in forward can operate at No.8 or lock and captained Castres for the majority of the 2008/09 season.